Cort the Sport: News from the home office....the Swim Update! News from the home office....the Swim Update! Good morning from the 'home office'! I just discovered Photo Booth on my Mac so grabbed a picture in the "home office". 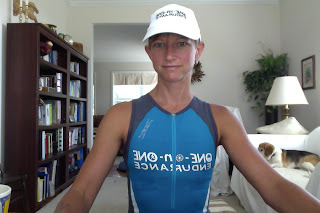 Yep, I pretty much come in from a workout and sit down for an immediate download of the ideas I came up with while in my swim, bike, or run "zone-out". 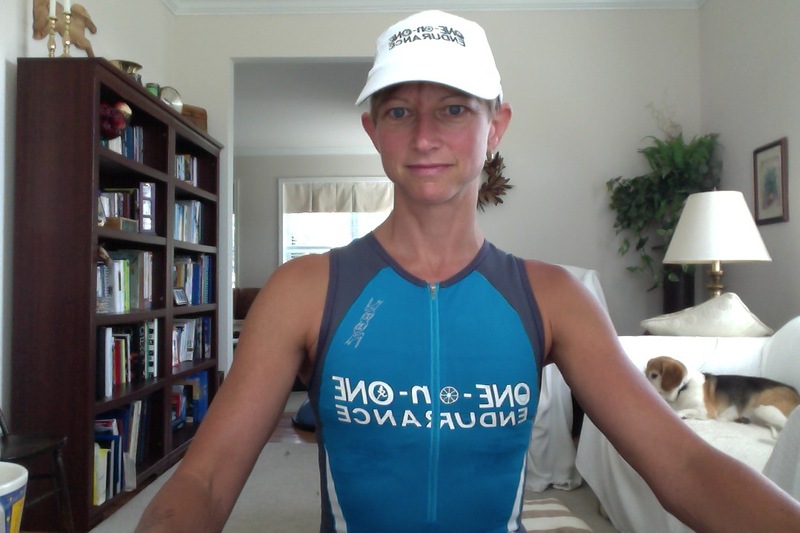 I've been known to proceed to work a few hours in a damp swimsuit (or tri suit or bike clothes) before I peel myself away from the computer for a shower. One of the givens of triathlon is that it's pretty hard to keep swim, bike, and run progress simultaneously moving in the direction of continual gains. 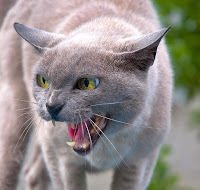 That doesn't mean we ever stop trying, but it is like the proverbial "herding of the cats". For me, the swim has been the unruliest cat of all with four bared claws, matted fur, and a big hiss. But I've made some progress recently that I thought I'd report on. Maybe it will help someone else. After the Bath County race in June, I was pretty frustrated about my swim. While I'd made some progress in the pool, Coach Jim and I noticed it wasn't translating to my races. It was time to get a little more radical. Coach Jim formulated the plan and I got to work. And of course, I never stop believing that I can and will get faster. After a month and a half of this, my swims at Nationals were my best race swims to date. I lined up front and center, went out harder, and "raced" the swim rather than just survived the swim. But Nationals had also shown me my bike and run are in line with the top women in my group, but the swim is holding me back. Since then, I've continued my efforts and have seen further evidence of change -- Some interval work that was nearly un-doable has become very doable. Times on my open water swims have dropped and I am swimming straighter. My mindset has changed too - timidity has been replaced by a more confident and aggressive approach. I've got a ways to go, sure, but I'm off that dang plateau and I think I'd stand a chance against the local 10-year-old freestylers now! What else changed? Just like with the "evolution of my cycling brain" I looked for and found some new ways to think about my stroke. I like to watch, read, and hear what others have to share. Back in June, I asked our race team sponsors at Endurance Films to send me everything they had on swimming, which they very kindly did! I've watched and rewatched the titles from the Go Swim series and picked up nuggets from every DVD. Swimming is one of those things that is hard to just read about or hear about, you need to watch it! 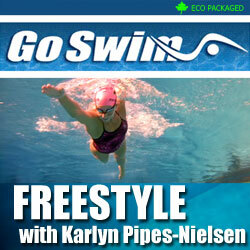 Rather than review all the DVDs here, I'll just say one of my favorites has to be Freestyle with Karlyn Pipes-Neilsen. 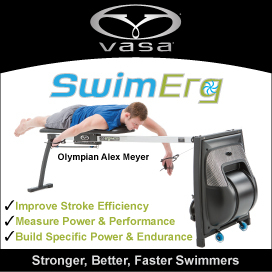 She is a master's record holder and is unique in her ability to communicate how she swims in a way that makes sense and is different from the "typical" list of swim fixes you see repeated time and time again! Karlyn talks about swimming with "Umph at the Front" which has stuck with me. There are times I am swimming and envisioning doing a lat pull down and breathing just as intently as I do for a hard set in the gym. If you want a different viewpoint on swimming and new ways to think about it, I would HIGHLY recommend her DVD from Endurance Films. I've also read some pieces by tri/swim Coach John Murray of Team MPI (Multisport Performance Institute) in Pensacola. He had a few posts on Facebook pertaining to body roll, and it was just something about the way he said it that clicked with me. One of the local swim coaches, Scott Baldwin, showed me how I need to use my core, how swimming is more of a dance than a strut! To grow as an athlete, we need to be adding to our mental and physical playbook. If what you are doing isn't working, simply doing more of the same is not a very good solution. To see a small change in results, you need to be willing to make big changes on the input. The process itself is fascinating and fun, even as it is a test of patience ;-) The joy is in the pursuit! Now I'm off to "pursue" some tempo miles! A week of 'firsts'...including a biggie!